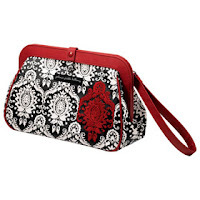 Will you Mamas look at this lovely, stylish clutch! But wait! Presto, chango, the clutch pops into a phone booth and a second later pops out as...a diaper bag? What a fantastic idea! 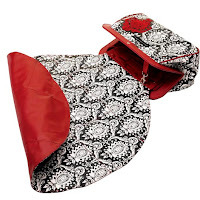 It's the diaper bag for Mamas who hate diaper bags! Will someone please buy this for me?